Are the days of the written contract coming to an end? As email and texts take over as our primary method of communications in real estate negotiations, it seemed a matter of course that the Massachusetts courts would be faced with the question as to whether and to what extent an email and text constitute a binding and enforceable agreement in the purchase and selling of real estate. In a ground-breaking case in April 2016, Land Court Justice Robert Foster ruled that in some instances text messages can be used to form a binding contract in Massachusetts real estate negotiations, which of course includes homes for sale in Cohasset. The ruling determined that even if a formal offer has not been signed by the seller, if certain language is use, that a text message can be used as formal communication to bind one to a real estate contract or agreement. The results of the case was a huge wake-up call for part of the industry who would rather leave text messaging under the category of "informal" and believe that these types of informal, electronic communications should not be legally binding when negotiating real estate contracts. Real estate agents and brokers have been using text messaging since the invention of text messaging, but in this case, the Land Court Ruling saw something specific in the communication. The case involved a commercial real estate negotiation going on between two businesses that were both represented by commercial real estate brokers. The negotiation was regarding the sale and purchase of an industrial park property located in Danvers, Massachusetts. Two Electronics, LLC was the seller and St. John’s Holdings, LLC was the buyer. The negotiation went back and forth between the brokers for several weeks with the parties exchanging “Binding Letters of Intent” and other legal documentation laying out the terms of the $3.2 million proposed purchase. After the terms were agreed upon and towards the end of the negotiation, each of the brokers exchanged several emails and texts between them. The seller’s agent sent an email saying that his client was “ready to do this,” and other language like "want you to sign first, with a check, and then he will sign. and "Can [the buyer] sign today and get it to me today? Tim." The buyer signed the final Letter of Intent and gave the deposit check to his broker. The buyer’s broker then sent the seller’s agent this text — “...I have the signed LOI and check. It’s 4:24. 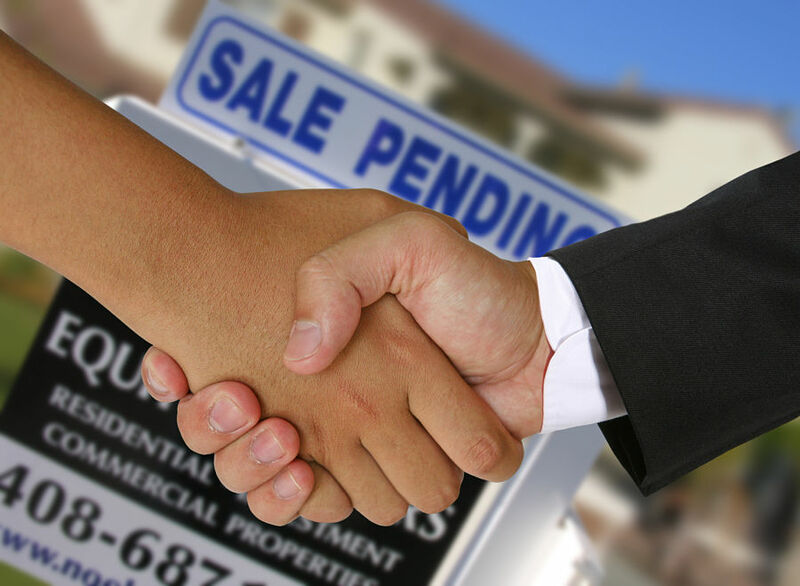 Where can I meet you?” The two agents then met, and the buyer’s broker gave tendered the Letter of Intent and the deposit check. What the buyer did not know at the time is that the seller had received another offer on the property, and had signed the offer, then refused to sign the Letter of Intent. St. John’s sued and claimed that the series of communication including the letters of intent, the emails and the text messages all constituted a binding and enforceable contract. Massachusetts' Statute of Frauds requires that real estate contracts for the sale of property is to be in writing with the signature of the buyer (or broker). In the days of pen and paper the application of the Statute was simple. If there was no signed written agreement, there was no binding contract. With the proliferation of emails and text communications the application of the Statute of Frauds has become a bit more complicated. The court found that in these text messages and, following emails from Two Electronics' broker indicating an agreement to sell, did indeed have sufficient terms to state a binding contract between the two parties, particularly within the context of the previous communications between them when they discussed the details regarding the terms of agreement. A critical part of the Land Court Judge's ruling centered on the point that each of the real estate brokers typed his name at the end of the text messages that contained specific material terms. This was taken as an indication that they meant those texts to be binding. As a part of his ruling that the typed names in those texts considered to be valid signatures, the judge also also determined the acceptance of electronic signatures as binding in real estate transaction business generally. Judge Robert Foster noted in the case several recent judicial decisions stating that emails may be binding and the Uniform Electronic Transactions Act, under which parties may consent through their actions to make email and text transmissions binding and enforceable. In the ruling the Judge noted that the seller’s agent signed his name at the end of the critical text message and ruled that the text message was sufficiently “signed” according to the Statute of Frauds and constituted a binding agreement at the end of the prior communications and unsigned letters of intent. The ruling was also persuaded by communication of the seller’s agent who told the buyer’s agent in the text to have the buyer sign the letter of intent first, which the buyer did. The Judge ruled in favor of the buyer and denied the seller’s motion to dismiss. What does this mean for Cohasset Real Estate Buyers and Sellers? The problem with a text message is that they are short and informal and it’s not practical to use a legal disclaimer. You could start a negotiation with the agreement that any electronic communications will not be used to create a binding contract until a formal offer has been accepted and signed. It might also be a good idea to end your emails and texts with something like “subject to seller/buyer review and approval” when your are in the negotiating phase. However, these boilerplate phrases can be waived by subsequent actions. Perhaps following Lomasney’s First Rule of Politics: “Never write if you can speak; never speak if you can nod; never nod if you can wink.” — and I don't think he was talking about an emoji. New technology has always come with both benefits and downsides. Most importantly in this communication, is for Cohasset real estate agents, Cohasset home buyers and those selling their homes in there are aware of these laws and educate themselves on how they affect real estate negotiations in Cohasette and throughout Massachusetts. This landmark case illustrates the evolving nature of transacting business electronically. It is important that when an individual or business begins discussions in a potential real estate transaction or contract with another party, to seek legal counsel in order to fully understand if and when emails and/or texts are simple methods of communication and negotiation and when they have moved into the area of a binding real estate agreement.